During the coming Olympic season, you may hear from announcers, critics, commentators and even athletes that the Olympic games are too commercial, too political, too “professional.” Or that the judging is too nationalistic. It’s easy to assume that the ancient Olympic Games were different, that ancient Greek athletes were pure in mind and body, that they trained and competed for no other reason than the love of physical exercise, fair competition and to honor their gods. But is this really true? Well, no. 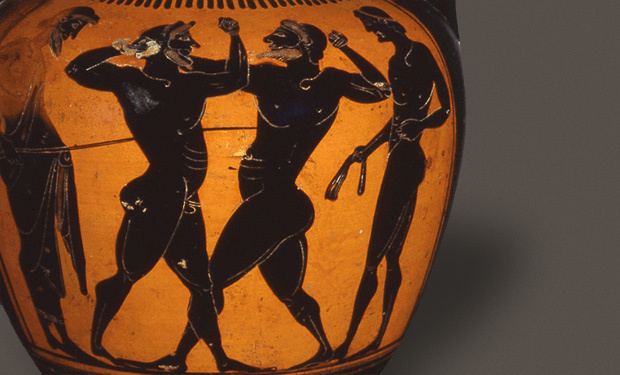 In fact, politics, nationalism, commercialism and athletics were intimately related in the ancient Olympic Games. We may not realize it, but in today’s games we recreate–with surprising accuracy–the climate and circumstances surrounding the ancient Olympic Games.